Rio Rancho Volleyball | Volleyball!!!! Congratulations to Seniors Hayley Wondra & Raquel Mendoza!! The Crimson Dinner event honored the RRHS Top 25 students in the senior class. For those new to RRHS, the Crimson Dinner recognizes students graduating in the top 25. They receive a Crimson honor cord, a Crimson pen, and also honor a teacher or staff member who has made a significant impact on them. Hayley plans on attending the University of Arizona, and Raquel will attend UNM in the fall. We are “Ram” proud of Hayley & Raquel! Congratulations Wondra & Mendoza families!! The Rio Rancho High School volleyball program has confirmed “Open Gym” dates for all current & incoming 9th graders interested in play volleyball during the 2019-20 SY. **If you haven’t requested membership on TeamApp App, please complete the following below.. Events, times, and other communications to all players/parents will done through this app. 1) Download the TeamApp App on your phone2) Register & confirm registration3) Search using “Find a Team” function or the search function in the top left corner. You will search for “Rio Rancho HS Volleyball”4) Click on membership5) Click on “All Players and Parents”, and also on “RRHS 8th Graders”6) Please enter your phone number, street address, town, and zip code (Reason, Gender, Country, & DOB is not required)If you need help, you can reach Coach Ken Carpenter by email. Congratulations to Senior Taelour Palmer!! The Crimson Dinner event honored the RRHS Top 25 students in the senior class. For those new to RRHS, the Crimson Dinner recognizes students graduating in the top 25. They receive a Crimson honor cord, a Crimson pen, and also honor a teacher or staff member who has made a significant impact on them. Taelour plans on attending Grand Canyon University in the fall. We are “Ram” proud of Taelour! Congratulations Palmer family!! Coach “Manz” is one of 7 inductees for the first Hall of Fame class at RRHS in 2014. Volleyball, with state championships in 2002, ’03, ’05, ’06, ’07, ’09: The one they call “Manz” said his greatest thrill has been “the opportunity to coach some fine athletes and individuals at RRHS and to have had a great coaching staff over the years. I think our win (3-0) vs. La Cueva in the semifinals of the 2002 state championships (was also a thrill). We were clearly the underdogs and shocked an undefeated La Cueva team with a solid, gutsy performance by my team. We were able to avenge the losses to La Cueva and Eldorado, the two losses of that season. The state championship vs. a great Eldorado team was the cap to a nice season and made RRHS athletic history. In this day and age of constant transfers, players graduating early and even numerous coaching changes, solid contributions from a player who will commit four years to an institution have become an ever-increasing rare phenomenon. 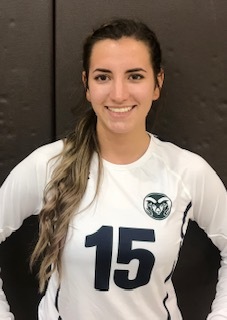 Not so for senior Darian Mullen, who put in her four years and was rewarded by becoming the New Mexico Highlands volleyball leader with 1,318 kills (3.22 kills per set). Continue reading the article HERE! 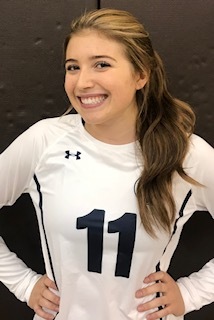 Copyright © 2019 Rio Rancho Volleyball - Volleyball!!! !.